In the United States, there are two systems of government: Federal and State. If you are charged with violating a law, it could come from a state court or from a United States District Court. I handle representation at the trial level, the appeal level to the Circuit Court of Appeals and any appeal to the US Supreme Court. Every initial criminal proceeding in Federal Court begins at the District Court Level. You may have been charged by indictment or by a criminal information. If you are charged by indictment, this means that a grand jury received evidence from the US Attorney and concluded that probable cause exists to formally charge with you a felony. If this has occurred, you will be arrested and served with the indictment. Alternatively, the US Attorney can also direct your arrest by a Criminal Information and then present your case to the grand jury later. In either event, usually within a few business hours of your arrest, you will be brought before the US Magistrate in your district. The Magistrate considers this an initial appearance. At the initial appearance, the US Attorney will advise the Court if they agree with you being released on bond. If the Court decides to hold you, generally you will have a short hold over period until a detention (Bail) hearing can be heard. After the bail hearing, you will be formally arraigned, and generally within 70 days of your arraignment, you will be tried. This deadline can be extended for many reasons, such as complexity of the case or judicial and attorney schedules; but the Court must conduct a hearing and rule on any requests to extend the deadlines. A trial in Federal Court is by Judge or Jury. However, if you are tried by Jury, they will not sentence you. At the trial level, a trial judge will sentence you after an extensive background investigation report has been prepared. So, whether you plead guilty or are found guilty, sentencing generally occurs several months after that date. If you are found guilty of a federal offense, you have 10 calendar days to note your appeal after the final judgment and sentencing order is filed with the Court. Your appeal goes to the Federal Circuit Court that the District Court that tried you sits in. An appeal from any federal conviction is filed in the Circuit Court where the District Court sits. For instance, in Virginia, if you were found guilty in the District Court for the Eastern District of Virginia, your appeal would be to the Fourth Circuit Court of Appeals. 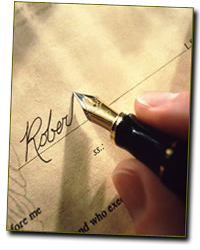 The Appeal must be filed by noting a written notice with the District Court within 10 days of the entry of the judgment order. You cannot (except in very limited circumstances) appeal anything to the Court of Appeals until the final order is entered. When you appeal your case, your attorney files preliminary docketing statements with the Court of Appeals and will order your transcripts from the trial and sentencing proceedings (and any motion proceedings that are necessary). The transcripts and any documents in the Courts record necessary for the higher court to review are compiled into a joint appendix agreed to by your attorney and the United States Attorney. After the transcripts have been prepared, a briefing order is filed by the Court of Appeals giving your attorney deadlines to file the Petition for Appeal. The Petition for Appeal will tell the Court the background of the case, the facts relevant to the appeal, the questions of error that occurred in your case at the lower court, and argument with supporting case law reference to support the argument for reversal. Generally, if you are successful on appeal, the Court can either reverse and remand your case, which means the District Court must address the issues from the Circuit Court. Or the Court can reverse and dismiss the charge, which means your case would not be retried. At the end of the appeal in the Circuit Court of Appeals, either party may appeal to the US Supreme Court within 90 days. If you are in custody, you will not be allowed to be a part of the appeal process. Your family can come to the hearings, but you will not be transported from your correctional facility. Most appeals end up at the Supreme Court. Either you have lost your appeal at the Circuit Court or the Government lost the appeal. In either event, usually the losing party will appear to the US Supreme Court. 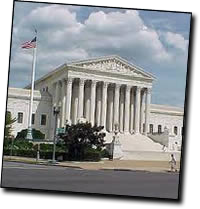 Only attorneys admitted to the US Supreme Court can represent you before the highest court of the land. In order to become a member of the Supreme Court bar, you must have been an attorney for at least 5 years and have 2 attorneys of the Supreme Court bar recommend your admission. Additionally, you must not have been subjected to attorney discipline by the state licensing bar or any court. An appeal to the US Supreme Court is much like the Appeal to the Circuit Court. However, to appeal to the US Supreme Court, you do so by Writ (except in death penalty cases). This is different than by Petition. With a petition, the Court of Appeals has to address the appeal. The Supreme Court however has to accept the case. They have sole discretion to accept your case. Even if you are 100% right in the law, the Court is under no requirement to intervene. The Supreme Court is highly selective in the cases it handles. After all of your appeals have been exhausted (or if you elected not to appeal), you have 1 year from the date of the final order in your case to commence a habeas corpus proceeding. This is commonly referred to as "ineffective assistance of counsel." Class 1, 2 and unclassified misdemeanors carry jail time. Class 3 and 4 are punishable only by fines. For instance, if you are charged with assault and battery that is codified at 18.2-57 of the Code of Virginia as a class 1 misdemeanor punishable by up to 1 year in jail. However, you may also be charged with adultery which is a Class 4 misdemeanor, punishable only by a fine. In contrast, the remaining criminal violations are traffic violations. For the most part, traffic matters are punishable only by fines and suspensions of driving privileges. However, some traffic matters are Class 1 misdemeanors such as Driving Under the Influence (click HERE to see the Virginia DUI Penalties) or Reckless Driving, which other matters are even felonies such as Felony Eluding of Police. However, for the vast majority of individuals, most traffic matters are for speeding, not obeying a stop sign or running a red light. If you are charged with an offense that you are allowed to prepay, then it is a traffic related matter only and not a misdemeanor or felony. The effects of convictions of criminal offenses can vary on your life. For instance, conviction of a felony will result in the loss of civil rights such as the right to vote, right to own a firearm and right to travel abroad. Whereas in a misdemeanor conviction, generally you maintain all of your civil rights, however some employers may discover your criminal record and employment may be frustrated as a result. Additionally, in either misdemeanor or felony cases, in addition to any jail sentence imposed, you may be subjected to probation via supervised or unsupervised means. The federal system is categorized in a very similar scheme as the state system however it is a much more specific area of law. It is very difficult to make broad statements regarding federal criminal law, however if you are charged with a federal criminal offense, even if it is just a larceny charge while on a military base, it is very important that you meet with me to discuss your case. The time limits in federal matters are very small and every day counts. Whereas in a state proceeding, continuances are very common for good cause, in a federal prosecution it is very difficult to get your trial date continued, which by statute may be just 70 days after your arraignment date. In my opinion, the hiring of criminal attorney is the most important decision any person can make. In many cases, a good criminal attorney can make the difference between an acquittal and a conviction. By following the rules of evidence, making appropriate pre-trial motions and being an effective advocate for the client, a good criminal attorney can substantial changed a perceived disposition of a case and make a lasting impression on an individuals life. Therefore, feel free to fill out the questionnaire form and make an appointment for either an online consultation or an in person consultation.